The 2019 residential Gatekeeper Trust Pilgrims’ Weekend will be based at the Martinsell Centre in Oare, near Pewsey from Friday 5th to Sunday 7th April 2019: www.martinsellcentre.com. As we are poised on the brink of possibilities, this is the time to dream new stories for Albion, and for ourselves. The Wessex landscape holds much knowledge to share with those who come with an open heart. The focus will be to come together in this powerful area to envision a positive future, reclaim our personal sovereignty and purpose and dissolve blocks which are preventing this, with the healing power of the land. Charlotte Yonge will introduce the weekend on the Friday evening, tracing out a grail cup in the landscape, the stem of which runs from Amesbury through Salisbury to Christchurch, the mouth of the River Avon. Five rivers converge into The Avon in this chalk landscape bowl. 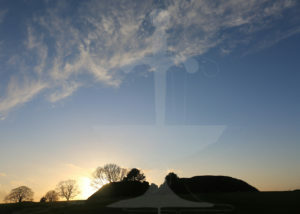 On Saturday, after a morning talk by Gary Biltcliffe and Caroline Hoare about Old Sarum and a discussion of the Blick Mead Mesolithic site in Amesbury, Gary and Caroline will lead a site visit to Old Sarum – possibly the jewel on the stem of the grail cup and an important geomantic and historic centre. A visit to Amesbury will also be included. Sunday morning will be dedicated to participants sharing stories and investigations from their own areas, including Wheel of Life project initiatives. The afternoon will be spent in the landscape, at Durrington Walls and Woodhenge. There is also a wonderful mound to explore on Martinsell Hill. Accommodation for up to 20 people is provided at The Martinsell Centre in shared rooms (most with ensuite bathrooms). It is also possible to attend individual days, or as a weekend non-residential participant. Additional accommodation is available in nearby Pewsey, which is the closest link on the rail network. Visits to sites (half an hour away) will be in shared cars. Delicious, home-cooked vegetarian and vegan meals are provided at the Centre. Arrival on Friday 5/4/19 from 4pm. Supper will be served at 7pm. Accommodation will be booked on a first come first served basis. For fully residential guests, please book and pay by Thursday 14th March. Please click on the orange buttons below to select your booking choice. If you have any special dietary needs, please let us know on booking as additional charges apply (£1.75 per breakfast, £3 per meal for lunch / dinner). If the Martinsell Centre is fully booked, a third person may be lodged in the adjoining room in 3 of the self-contained apartments, in which case the price per person will be reduced. Please book and pay by Thursday 21st March. If you prefer to pay by cheque, please send to The Secretary, 14 Upper Close, Forest Row, East Sussex, RH18 5DX, payable to ‘Gatekeeper Trust’.